Amazing Place to livesubmitted by Francisco V. - Feb 01, 2016 |Recommended: YesI personally love it here. Ive been living here for a little over a year. Recently renewed my lease for another year. Definitely great maintenance team. So friendly. The staff is also amazing. I use the gym on a daily basis and it is always clean and smells good. I would recommend anyone to live here especially if you have a dog or love dogs. Happy to move insubmitted by Vikas C. - Nov 22, 2015 |Recommended: YesThis has to be the best decision I made for quite some time now in terms of choosing an apartment. The complex is well maintained, quiet, good floor plans and plenty of parking space. Washer and dryer in apartment with most of the utilities included in rent. Kind and helpful staff in leasing office. Close to many stores and restaurants to choose from. Safe neighborhood. I will for surely recommend to come take a look as this place will meet most of your expectations . I have been hear since 1992 and I am so happy to be hear and wouldn't dream of leavingsubmitted by Latisha R. - Sep 27, 2015 |Recommended: YesIt is peaceful living here. Their staff keeps the area clean and they are always on top of their work orders. Thank you I am so happy I don't even want to move. This is home for me. Safe, clean, beautifulsubmitted by Deborah P. - Jul 31, 2015 |Recommended: YesI've live here for 11 years the staff are wonderful caring people that go out of there way to accommodate me. I love living here.  Colony Oaks Associates are very nice. They talk very friendly and always ready to help.submitted by Rupesh T. - Jun 11, 2015 |Recommended: YesIt feels like you are at your home and whole community is your family. Community people are also very nice, helpful. Overall it is very nice place to stay longer. Love It submitted by Jennifer - Dec 05, 2014 |Recommended: YesI rented my apartment sight and location unseen. I have been nothing but pleased with everything. The apartment is well designed and roomy and cozy. One thing, not with the community, is that if your choose, like I did, to live on the bottom floor, you will hear sounds from the upstairs, walking, etc. If that would bother you then you should consider renting an upstairs apartment. Safe Communitysubmitted by Giovanna - Sep 02, 2014 |Recommended: YesI have been a resident of Colony Oaks for 6 years and I ve never encountered any issues. I ve felt safe all the time and the maintenance crew are always very nice and ready to serve. It s a great place to raise your children as well and my 16 year old feels safe all the time walking to and from the bus stop which makes me feel relieved. It s a quiet community and I pray it stays like that. I love living here and would recommend it to others.submitted by Aliza A. - Jan 05, 2014 |Recommended: YesIt's a very nice apartment complex with friendly tenants and staff. It's a nice apartment and nobody bothers you. This is my third apartment I've lived in and it's my favorite one of them all by far. I would definitely recommend it to others. Nice scenic , economical, timely maintenance , online rent payment , proximity to NYC .submitted by Raj N. - Jan 01, 2014 |Recommended: Yessame as above . Great living communitysubmitted by Noorjahan A. - Dec 25, 2013 |Recommended: YesGreat for families or young professionals. Awesome amenities and outdoor space. Gym could be larger and better. It has peaceful, quite community and the customer service is exceptionalsubmitted by Allan S. - Feb 01, 2013 |Recommended: YesI would say it is a great place to live. The staff (administrative and maintenance) respond to all requests in a timely manner. Spacious apartment, friendly staff - outstanding, fast, reliable maintenance workerssubmitted by Rachel L. - Dec 04, 2012 |Recommended: YesNo complaints about the apartment or community as a whole for the past 2.5 years of my residence. Highly recommended. I love my apartment all though things break easily like the blinds but for a single woman living alone in a 1 bedroom 1 bathroom, 1280 is A LOT submitted by Luisa B. 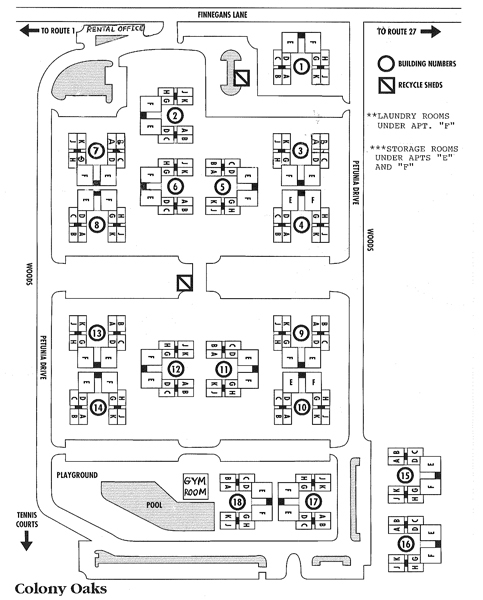 - Nov 04, 2012 |Recommended: YesIts safe and the apartments are spacey and well designed. The layout is original and I would recommend these apartments to others and I have.